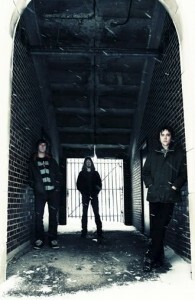 IntroducingR30;The Suede Brothers: Mick Varga – Drums, Kevin Naughton – Bass & Dylan Francis – Guitar/Vocals. The Suede Brothers are a Rust-Belt * Rock band from the buckle of the Rust Belt: Cleveland, Ohio. The band was formed in 2007. The three had played together previously and had decided to form a new band, the Suede Brothers. Steeped in the classics, from R.L. Burnside to Black Sabbath, the brothers found common ground from whence to approach their task of creating a band. Disgusted by the state of popular music and inspired by the hard working, down-but-not-out mentality of the Northeast Ohio populous, the boys set out to create a music that would reflect the attitudes of their neighbours and attempt to capture the aesthetic they knew as the Rust Belt. From the towering smoke stacks of Cleveland’s steel mills to the iron ore freighters that line the shores of Lake Erie, Kevin, Mike and Dylan have no shortage of aesthetic influence to draw from. The honest, low on filler people that surround the boys find a voice in the music of the Suede Brothers. While all three band members are still in college, they’ve managed to cram in a tour with Year Long Disaster & a couple of shows with The Sword this January; releasing two cracking albums “The Suede Brothers” in 2007 & “Ill New You” in 2008, and are looking to start recording a third album in a couple of weeks. If gritty, hard “old school” Rock n Roll is your thing, then these guys should suit you perfectly! Check out “Jolly Rodger” from the Self-Titled debut album & the title track from “Ill New You” in our player. * In Cleveland there is a form of music that is affectionately called Rust-Belt Rock and Roll. It’s less of a genre and more of an attitude. It’s rock and roll music that’s low on fashion and filler and big on volume. It’s a region that is gritty, hard-working, and honest. In Cleveland there’s a level of pride in being down, but not out and fighting with every last breathe to succeed.